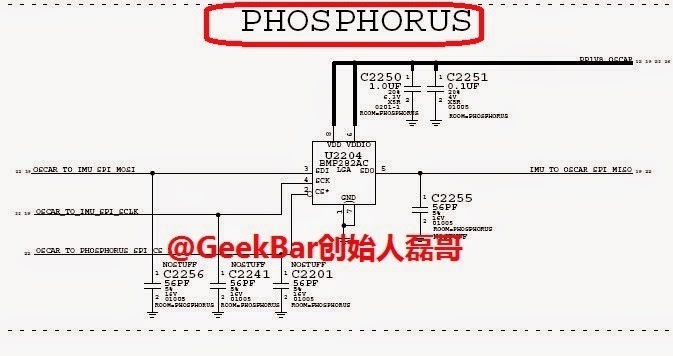 The new leaked Phosphorus schematic is not the iPhone 6 M8 co-processor, according to MacRumors forum members, the item depicted in the schematic is not a next-generation M7 and actually appears to be a barometric pressure sensor. The iPhone 6 has been rumored to include a number of new environmental sensors such as an atmospheric pressure sensor. Watch related videos from the Apple playlist (sorted from oldest to newest).